If you are not using prague powder, skip the next step. Measure the roast and write down the weight. Divide the weight in grams with 1000 and multiply it by 2.5. That is the amount of prague powder #1 in grams that you will need. 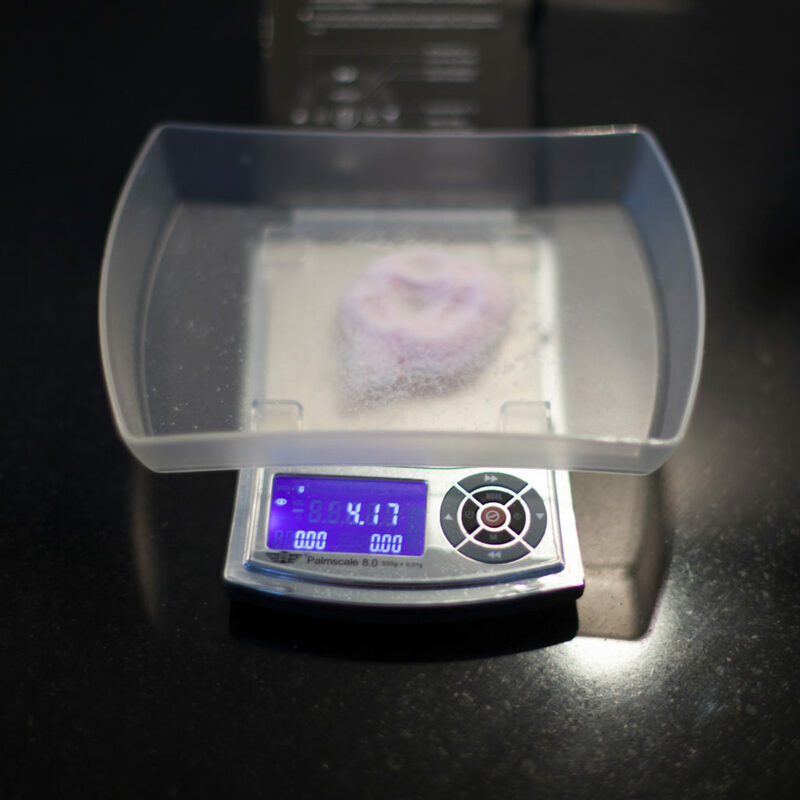 I recommend a scale that weights with .1g or even .01g precision for this. 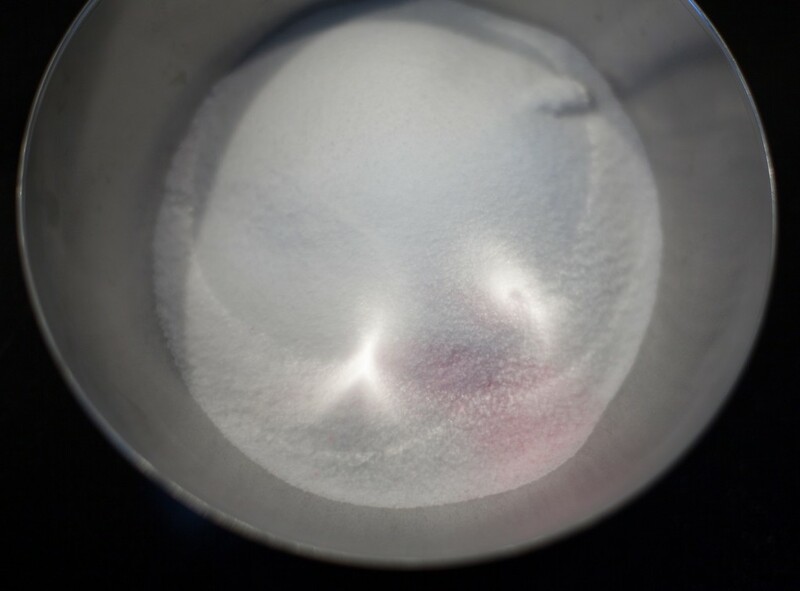 Mix 500g kosher salt, 300g sukrin and the prague powder thoroughly in a bowl. 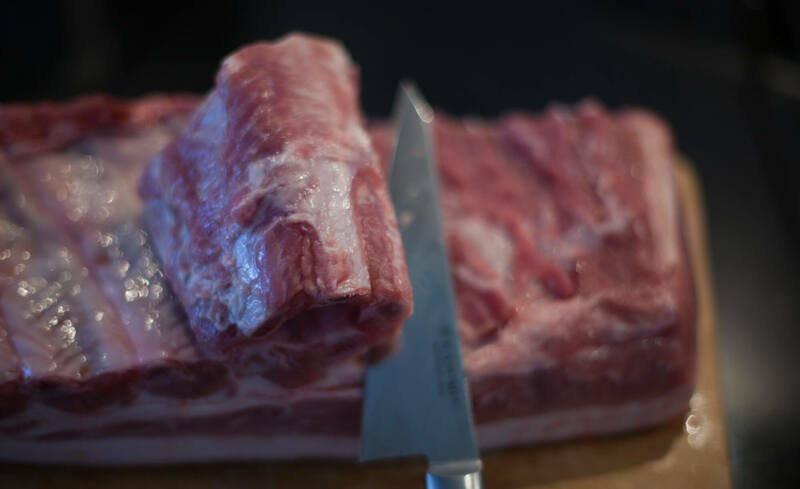 If the roast has ribs on it, cut them off now. Go as close to the bone as possible. If you are using a vacuum sealer, make sure you double seal the bag, and cut it big enough for the roast plus an extra 10 cm (4 inches). 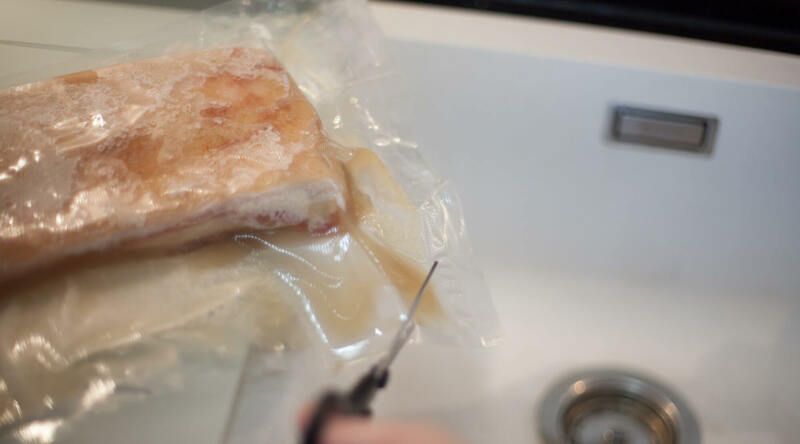 If you are not using a vacuum sealer, use a sealable bag like ISTAD at IKEA. Pour about half of the salt mixture in the bag and place the roast over top. 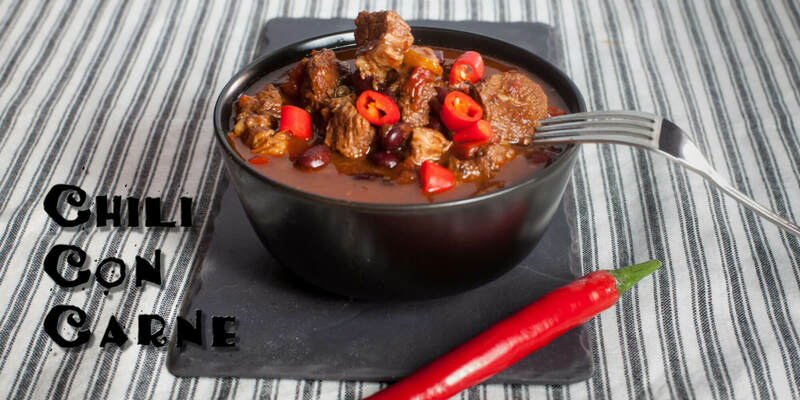 Pour in the rest of the mixture and try and cover all of the roast as best as possible. 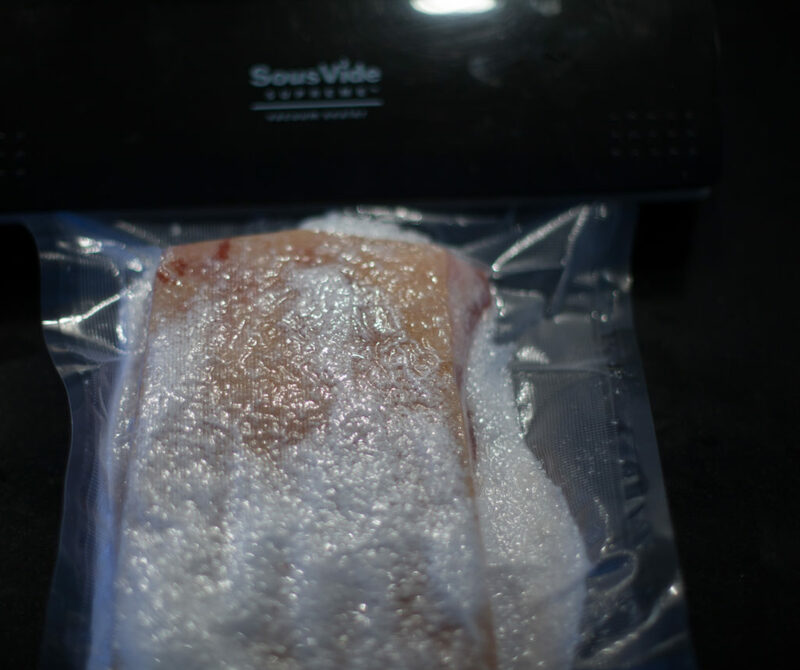 If you are not using a vacuum sealer, then try and displace as much air as possible and seal the bag. Otherwise vacuum seal the bag and seal it an extra time for protection. Put in the refrigerator for seven days. Once a day you should flip the bag. After the seven days, take the bacon out and drain the fluid. Now clean the salt off of the roast. Be very thorough or else the roast can be unpleasantly salty in places. Wam the oven to 190º F (100º C). 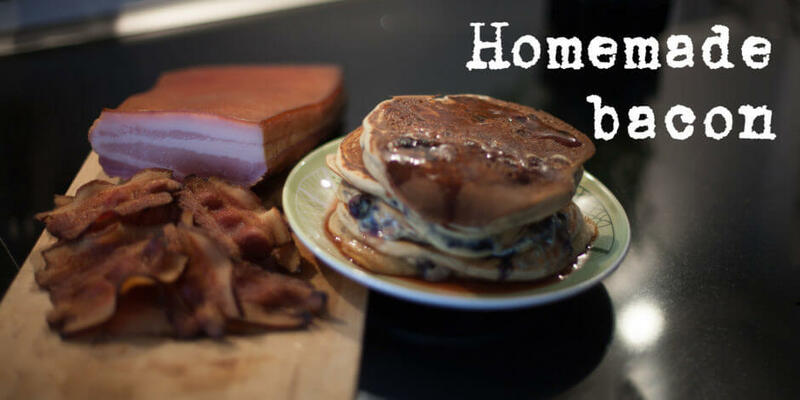 Smear the bacon with liquid smoke on all sides and put the roast in the oven. 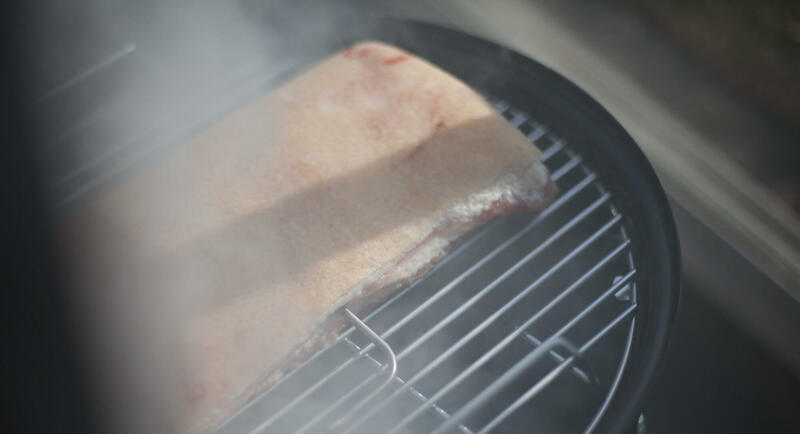 Redo the liquid smoke treatment every hour. When the center temperature hits 150º F (65º C) take it out of the oven. Let the bacon rest in the oven for 24 hours. 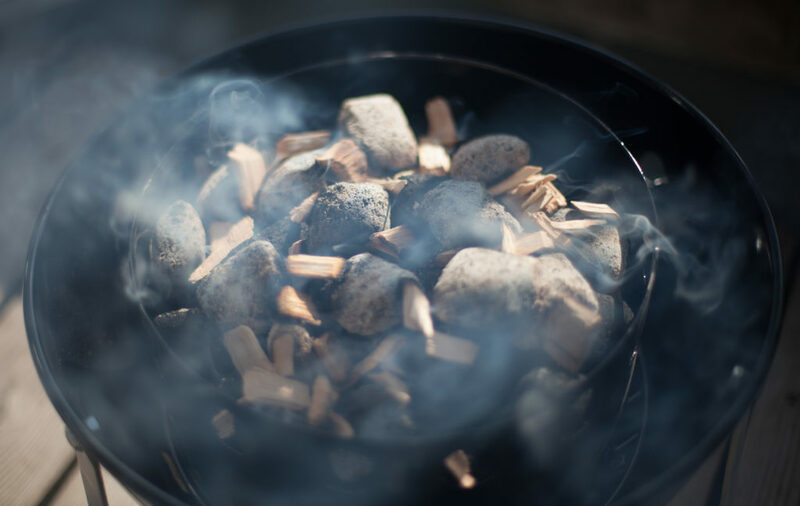 Put a good pile of hickory chips in water for about 30 minutes. 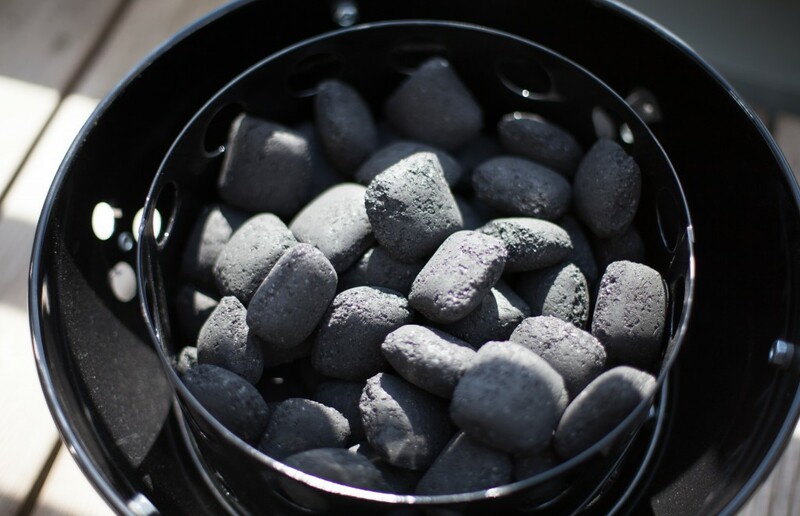 Light about half of a grill starter with briquettes. Fill the ring to the top with briquettes. 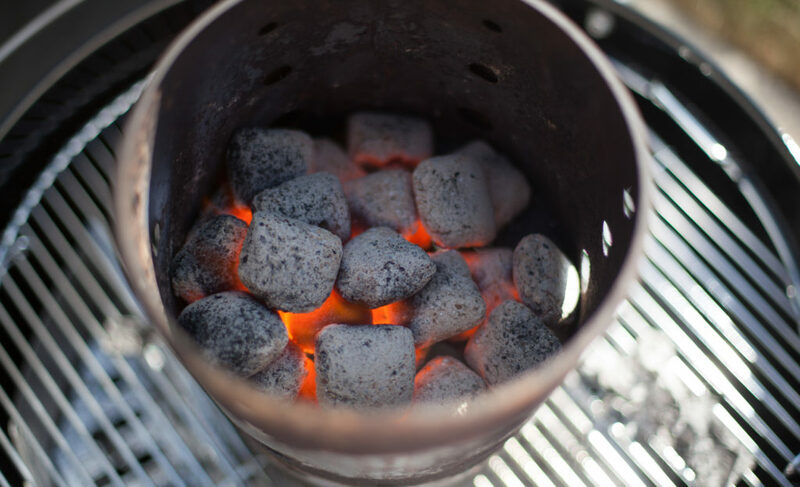 When the coals are white hot, scatter 12 briquettes on the unlit briquettes. Put a good handful of smoking chips over the briquettes. Add the middle section and fill the bowl with cold water. Put the bacon on the top tray. It is a good idea to use a grill thermometer, so you can make sure it does not get too hot. 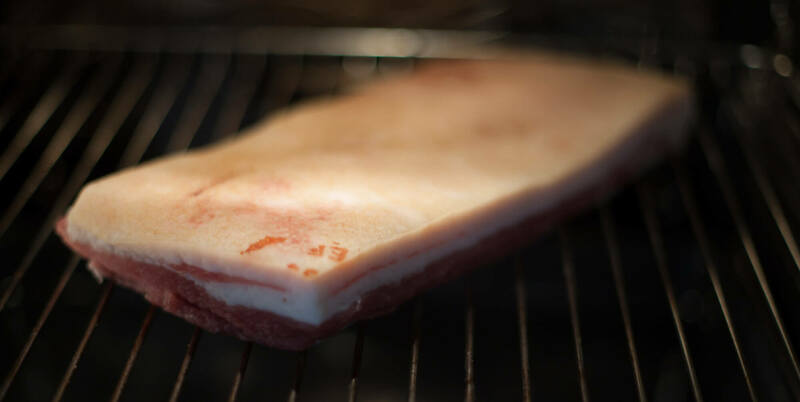 The bacon should not get above 65 degrees or you might render the fat which will make the bacon useless. Close the different dampers so that the temperature is kept down as low as possible. Put new chips on about once an hour. 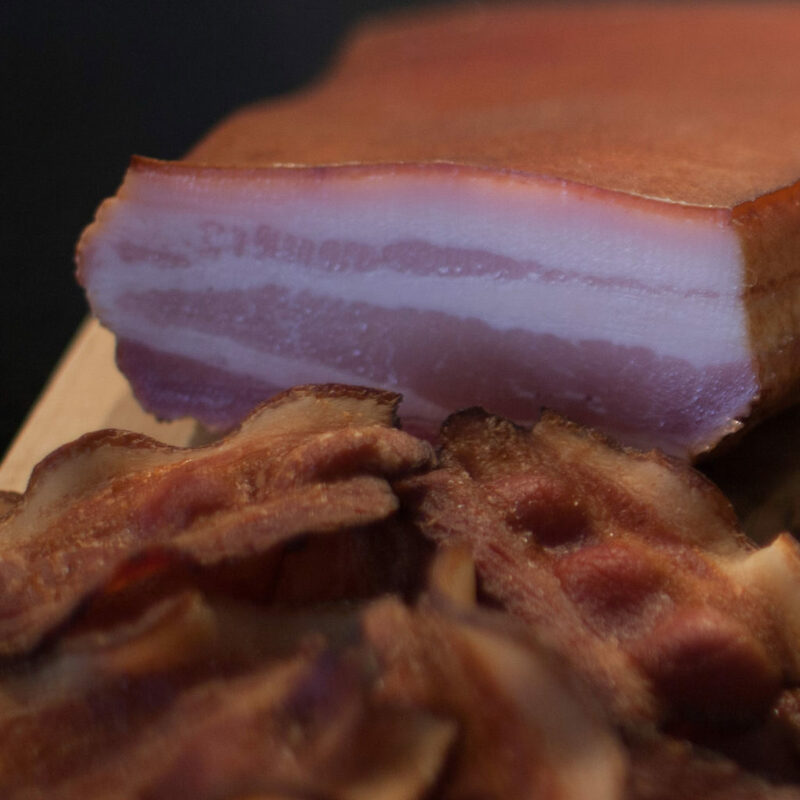 You decide how much smoke you bacon should have, but 4 hours is probably the minimum you should give it. 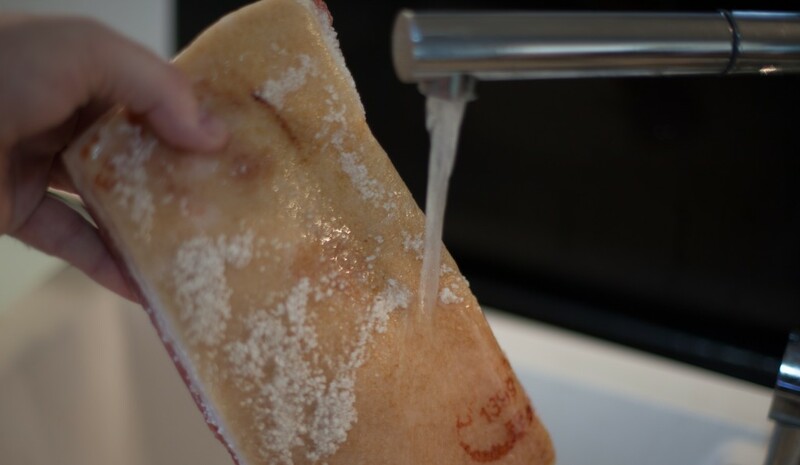 When you take the bacon out, put in the refrigerator for 24 hours.